The park is open daylight hours. (People have been busted for being found up there at night.) There are a number of restrictions (none of which are unreasonable) posted in a subtle shade of bright yellow at park entrances, and are reprinted here. The really good news is that unlike in the massive nearby state gamelands, hunting is forbidden, so it is possible to safely gambol in nature without fashionable orange garb or fear in heart. Motorized anythings are strictly verboten. 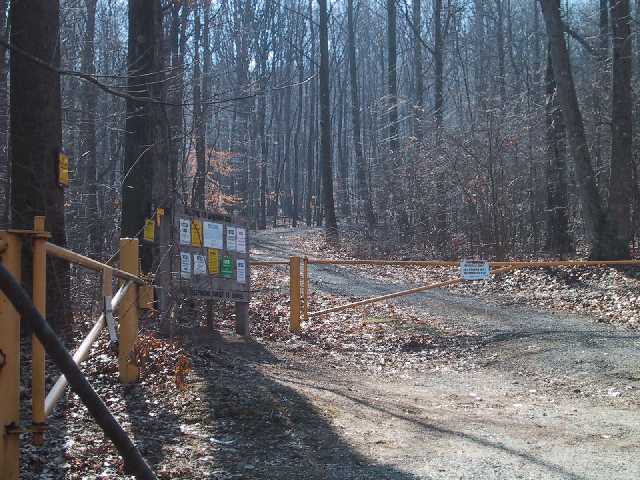 Perhaps the most popular entrance is off Pinch Road (the main route south out of the village center), about a mile south of Mount Gretna on the eastern (left-hand) side. There is parking space by the side of the road for maybe a dozen vehicles around an informational plaque mounted on a boulder. The trail itself follows the bed of the old 19th. century narrow-gauge railway (see History). Couch-Potato Alert! Although the trail is slightly uneven and rocky in places (what do you want in a natural park?) it is - by virtue of the fact is was graded for a railway - of a continual and gentle slope and very easy to walk up. 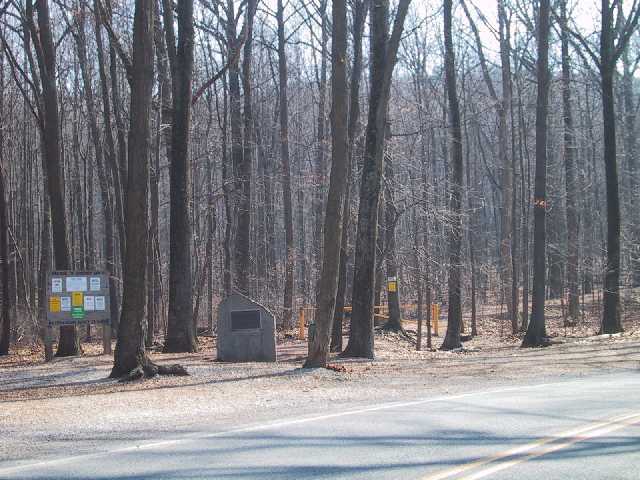 A half-mile or so further south on Pinch Road, again on the eastern (left-hand) side, is the 'Fire Road' entrance. It is wide and reasonably finished and is the best candidate for wheelchair or stroller access, even though it gets fairly steep in places. On the southern side of Rte. 117, approximately midway betwen The Rte. 72 interchange and Mount Gretna. This is a deteriorating once-finished access road to the northernmost peak of the mountaintop, where once there was a cold-war era radar station. It is (in the best traditions of the military) in long, straight sections almost without regard to grade which consequently can get fairly steep. At the top there is a continuing trail over to the tower on the more southerly crest. 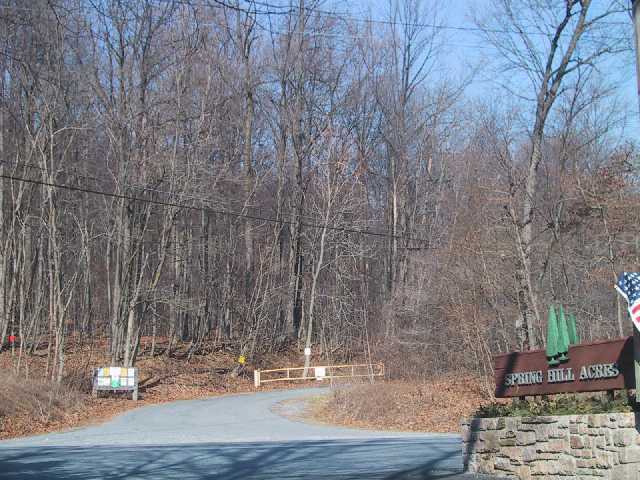 A fourth major entrance of note, if not perhaps the best for relatively easy climbing to the tower, is that of Horseshoe Trail which runs through the park (a branch from and sibling of the much more well-known Appalachian Trail, only unlike the AT, horses are welcome in the park and on the Horseshoe Trail. Which is why it's called Horseshoe . . .). The eastern entrance is from Old Rte. 72, which can best be found on the western side of the present Rte. 72, about a half-mile south of the interchange with Rte. 117, and about 2 miles north of the PA Turnpike interchange. It is directly opposite the well-marked entrance to Spring Hill Acres housing development. March up Old Rte. 72 beyond the barrier and the trail entrance is on the left. Once a familiarity of the shape and 'feel' of the park has been gained from an initial few trips, undoubtedly the many less well-travelled trails will beckon.